Michael made more hams! We have 6 left. Open until 9 tonight! Merry Christmas from Marie Shephard and Hunter McLamb! Closing all day Monday & Tuesday! Christmas Special - 5 tanned hides for $50 bucks each - First come, first served! Two calico hides available for $100 each! Who knows? Reid Lawson gives a holiday toast? Have a happy day from Cassy Ballo! Merry Christmas from Cordray's Taxidermy! In all that wind and rain last night there were elves hard at work at Cordray's! Bailey Dukes and David Lawson checking it twice! Aaron Wood brought in his first deer and joined the Cordray's First Deer Hall of Fame! Allan and Ashley King brought in this 88 lb. buck. Applewood Smoked Hams, bacon and more in the store! We'll be closing all Christmas Eve and Christmas Day, but will be open all New Year's Day and New Year's Eve as we approach our final weeks. We're open 9 am to 9 pm through Jan. 2nd. From Jan. 3rd to Jan. 19th, we're open 9 am to 7 pm Monday - Saturday. We have no Sunday hours in January. After the 19th, we'll be closed for the season. So, come see us now while we're still fully stocked! Right now we have 10 whole smoked hams in the case and plenty of bacon. For the smoked beef, we've got summer sausage and snack sticks for your Christmas party. There's frozen Cordray Farms Porterhouse, T-bone, ribeye and sirloin steaks in the freezer case. Beef briskets and roasts are ready to go, too. Our big end of the year rush with hunters will be the week between Christmas and New Year's. If you can squeeze in a visit this week, you'll find our best selection before the cases begin to empty out! Quick reminder: We'll be closed both Christmas Eve and Christmas Day! 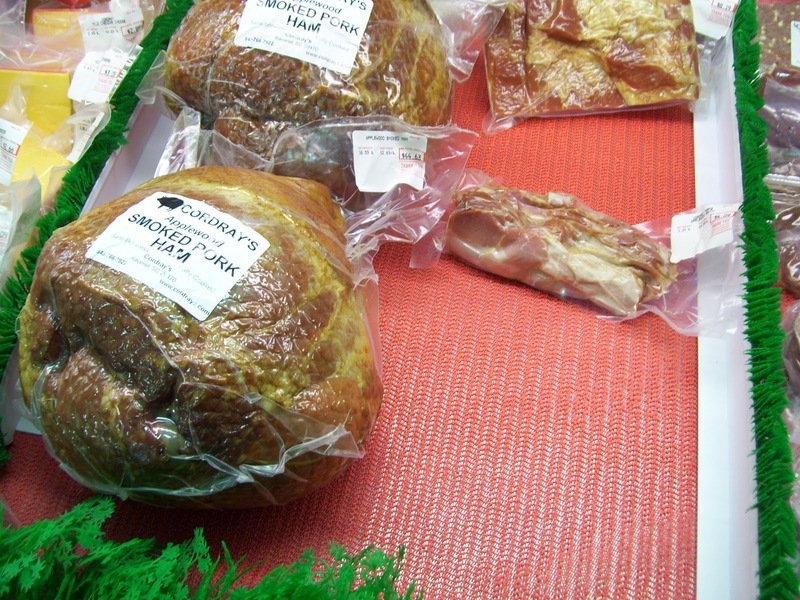 Don't forget to pick up your applewood smoked hams! Just a few left! Travis Spell joined the Cordray's First Deer Hall of Fame! Bobby Boyles brought in another double! Rawlins Ladue got a double for his first deer and got dunked! Luke Elliott picked up his gorgeous mount of his very first deer, a 10 point!